All branches and our Contact Center will be closed on Friday, April 19 and Saturday, April 20. We will return to normal business hours on Monday, April 22. Click here for ways to conduct business while we're closed and for important contact information for your LOC debit and credit cards. A faster, more convenient way to pay! Introducing the LOC Digital Wallet. Looking for a rewards credit card? Find Out What Card Fits Your Finances. Get ready for a brand new Farmington branch. Find Out What’s Coming Your Way! In need of some extra cash? Rates as Low as 4.49% Fixed APR. With a new year comes new wishes, dreams and goals. 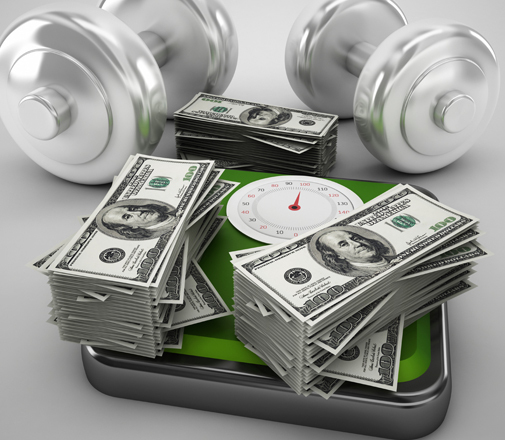 Whether you’re looking to exercise and lose weight, get your finances in order, or start saving for a major purchase, it’s important to identify your goals, what’s behind them and what you can do to achieve them. Financial goals are especially important because they have a lasting effect not only this year, but beyond. Setting your goals is one thing, but taking an in depth look at your situation is another. It’s easy to say, “I should start saving more money or I want to buy a new car or a home.” Acting and following through on these are a different story. It’s best to review your monthly budget, savings plan as well as any outstanding debt you may have. It may be intimidating to sit down with someone to discuss your financial situation, but meeting with a financial advisor can ensure you’re heading down the right path for today as well as the future. This could happen over the course of one meeting or multiple meetings throughout the year. These meetings can play a vital role when it comes to reaching your financial goals. While shedding debt may be one of your top priorities, it’s important to understand your debt and what the best course of action is to eliminate it. Review your balances and interest rates and start analyzing how you can afford to pay them off. Start by paying off the card with the highest interest rate, or use the snowball method and start with the lowest balance card first and work your way up. Both options can get the job done, but review your finances to see which method will work best for you. If you’d like to learn more information about debt consolidation options, come in to any one of our branches for a free loan review. You can even schedule your appointment online. Saving more may be one of your financial goals in 2019 and that’s great. But are you looking to save just in 2019? Or are you looking at a longer-term savings goal? Getting a jump start on retirement savings or savings for a larger purchase down the road can help make the process easier. It won’t be easy reaching your financial goals. Some may not be reached while others may be achieved earlier than planned. No matter the path you and your financial goals take, it’s important to enjoy the progress and success along the way. Giving yourself small rewards can help keep you on track and motivated towards reaching your next goal! Whether your 2019 financial goals revolve around saving, paying off debt or purchasing a new vehicle or home, you’ll be able to reach these goals and feel great about doing it, with hard work and persistence. LOC saved me $13,000 in interest by consolidating my three credit cards. LOC was so very helpful, so very professional, and so ready to take the extra time to answer all of my questions so very thoroughly!